How to Download iCloud Photos to iPhone 8/X? iPhone 8/X backs up the photos you capture to iCloud by default. 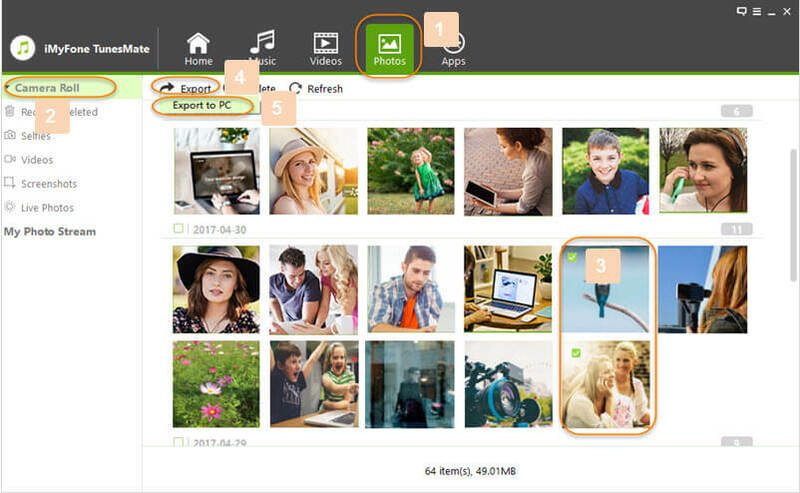 It has many advantages as it saves you space and is also helpful if you accidentally delete your photos and want to recover them. This article explains different ways to download iCloud photos to iPhone 8/X. iCloud Photo Library is a great service from Apple that allows iDevice users to save space. You can view your photos on the cloud and also download them if needed. Downloading photos using iCloud Photo Library is quite easy because you will only need to use your iPhone and access to the internet for the procedure. Step 1: First, make sure your iCloud Photo Library is ON in your iPhone 8/X. 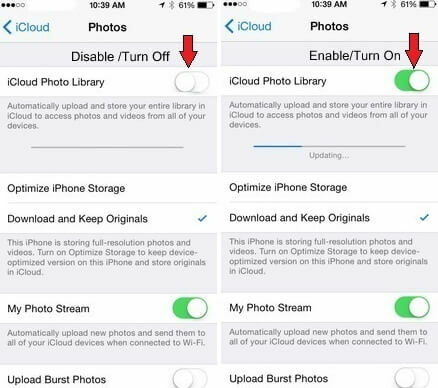 If not, then you can do this by launching Settings app and then navigating to Photos option available in iCloud section and setting the iCloud Photo Library to ON status. Step 2: There, you will also see an option called ‘Download and Keep Originals’. Use this option to download your photos. Step 3: Downloaded photos will become available in Photos app, you can view them in your Photo Library. It is also possible to download your iCloud photos to iPhone 8/X without using iCloud Photo Library. You can do this by using either your Windows PC or Mac. Step 1: Visit www.icloud.com in your computer’s web browser and log in using your Apple ID. Use the same ID that you use to log in to iCloud Photo Library. Step 2: Once you are logged in, you will see several tabs on the webpage. Click on Photos tab to browse your iCloud photo gallery. Step 3: From the photos gallery, you can select your desired photos and then click Download button to start downloading the images. Your selected photos will be downloaded on your computer’s hard disk. Step 4: If you want to retrieve the photos you accidentally deleted, then navigate to Albums page in Photos section and then choose Recently deleted folder. There, you will be able to view your deleted photos. Select the photos you wish to recover and then click Recover to download them to your computer. Step 5: Once downloaded, you can transfer the photos to your iPhone 8/X via iTunes. iMyFone TunesMate is an amazing media transfer tool that allows you to transfer many types of files (including photos) from your computer to iDevice and vice versa. You can either export all your photos or individually select them and then transfer them to your computer. Furthermore, you can also view HEIC photos directly using this software. 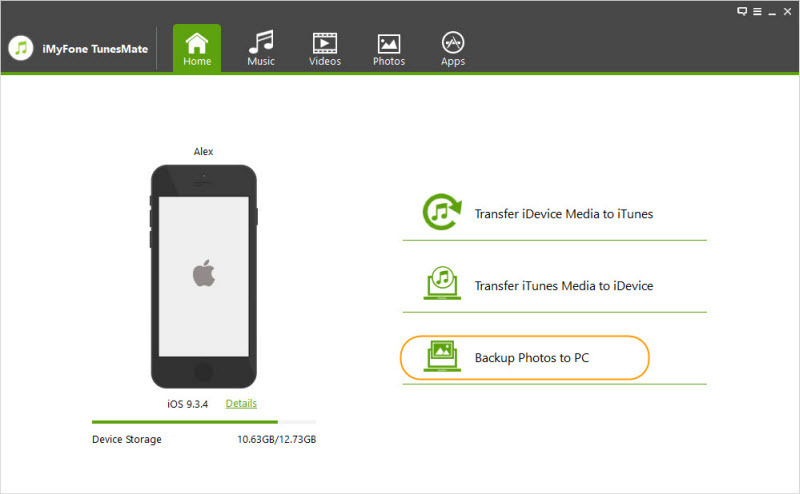 Two-way transfer, allowing you to back up your media from iPhone to iTunes as well as restore them from iTunes to iPhone. iMyFone TunesMate supports over ten media file types including photos, videos, podcasts, music, audiobooks, etc. You can transfer purchased as well as non-purchased media files without any issues. One of the best iTunes alternatives with tons of useful features and benefits. Step 1: Download, install, and launch iMyFone TunesMate on your computer. Step 2: Connect your iPhone 8/X to computer. Step 3: Select Backup Photos to PC option on iMyFone TunesMate. 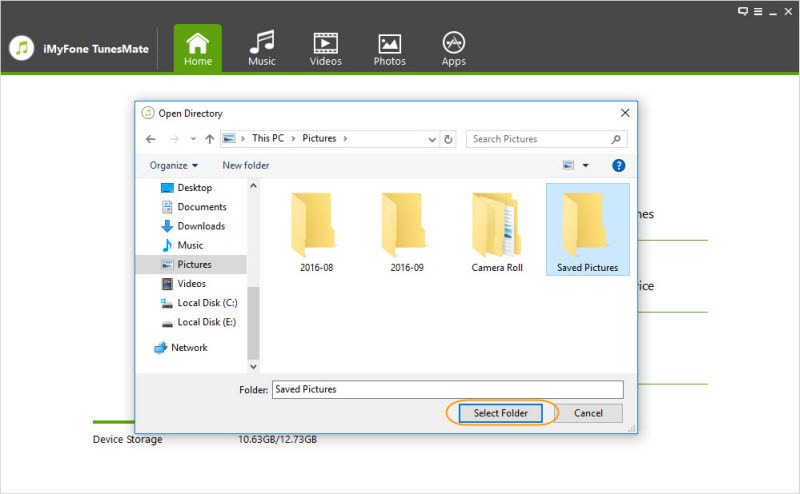 Step 4: You will be asked to select the destination folder, choose your desired folder and click on Select Folder to start transferring all your photos to your computer. Step 1: Launch iMyFone TunesMate on your computer. And connect your iPhone 8/X to your computer via USB. Step 2: Now click on Photos tab on the software and select the photos you want to export. Step 3: After selection, choose Export option and then select Export to PC in order to proceed. Step 4: You will be asked to select the desired folder for exported photos. Choose your desired folder on your computer’s hard disk and click Select Folder. The export process will start.